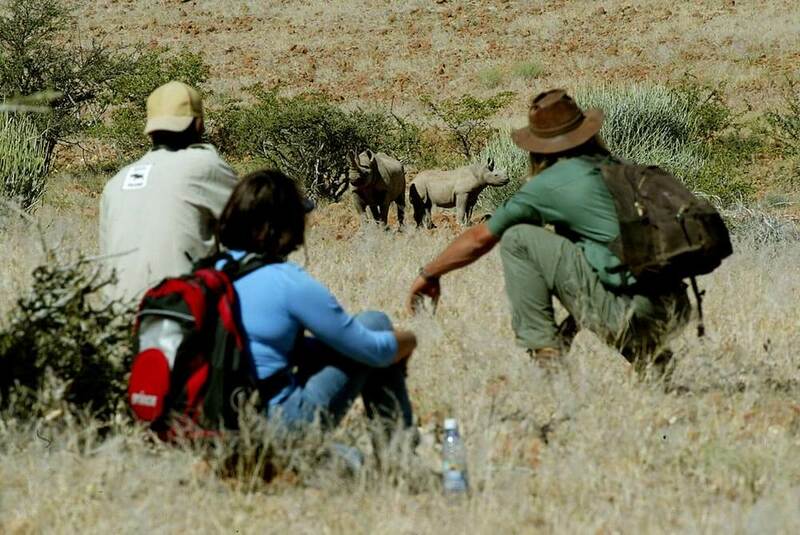 Sensational as that is, there is another, greater reward on offer at Desert Rhino Camp. Not only will you see desert-adapted black rhinos, you’ll be contributing to their continued survival. 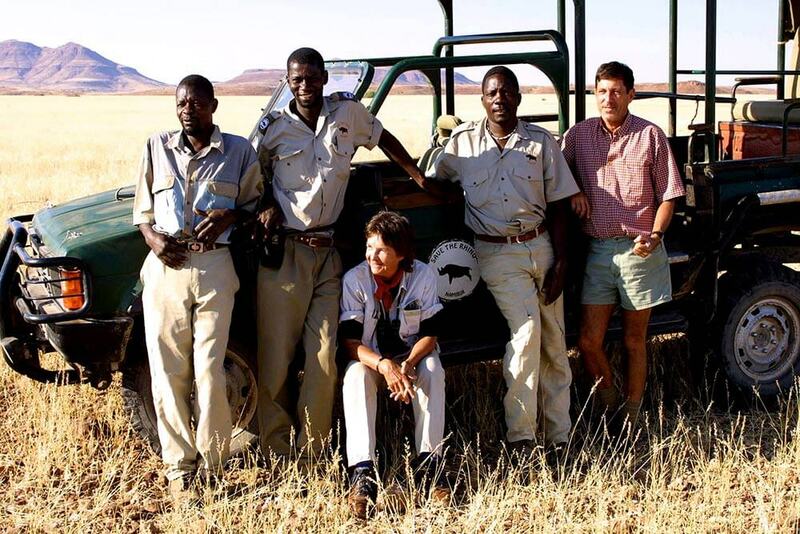 Desert Rhino Camp operates in collaboration with the Save The Rhino Trust (SRT) and has succeeded in doubling the native population of this decimated species. 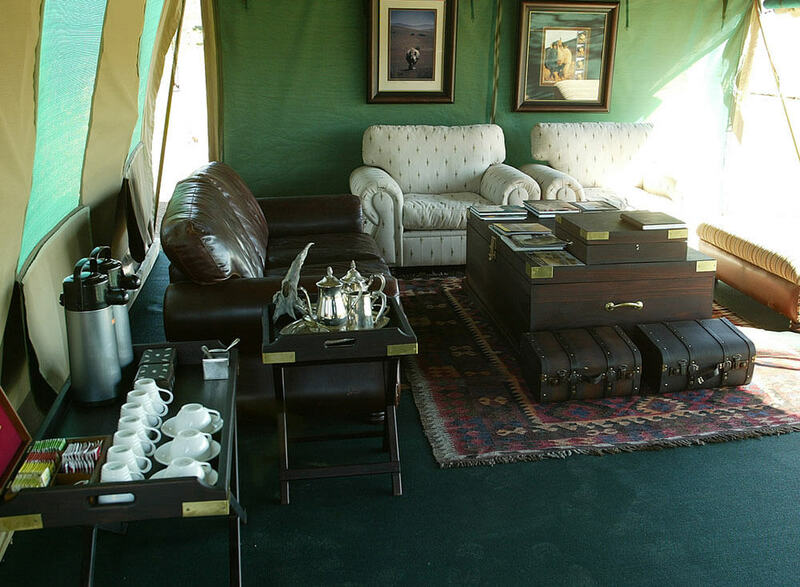 You’ll find the Camp is worth visiting for other reasons too. 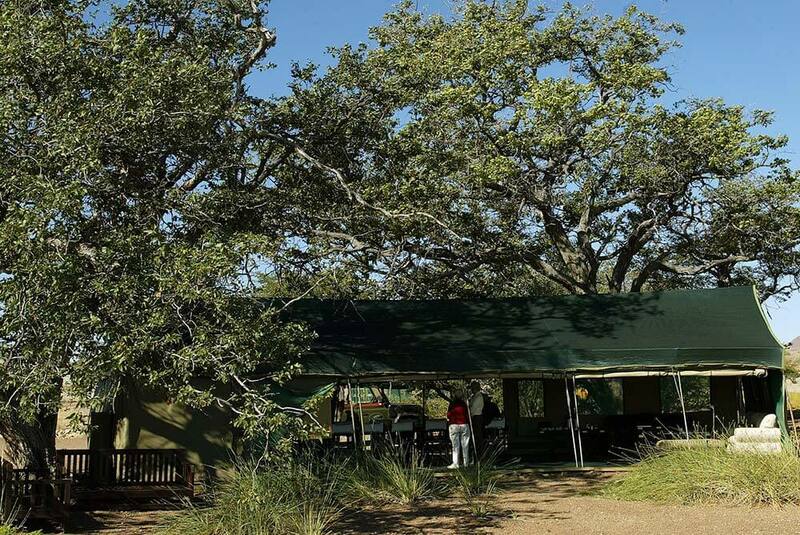 You’ll sleep in genuine, Meru-style canvas tents raised above the bush on wooden platforms. 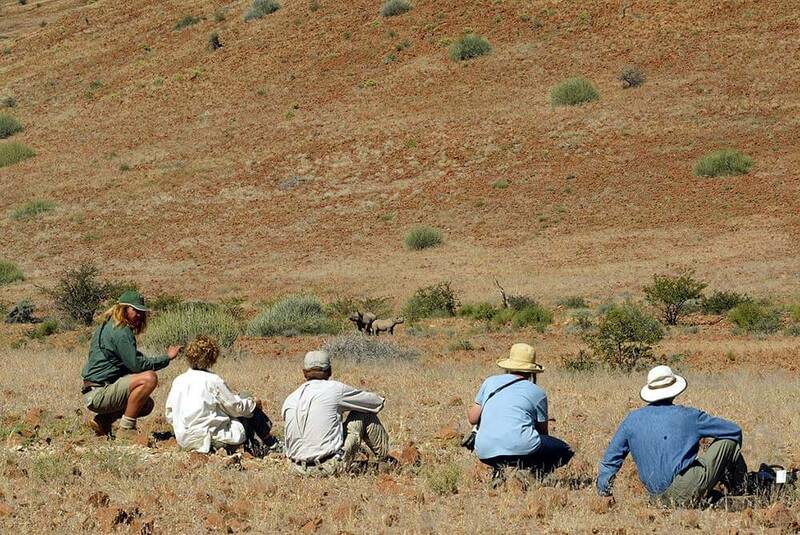 You’ll dine outdoors, gathered around the fire pit and you’ll adventure out into the bush to meet rhino, desert-adapted elephants, mountain zebra, giraffe, gemsbok, springbok, kudu, lion, leopard, hyena and any numbers of birds. It was an extraordinary, wonderful and memorable vacation. Thank you to everyone.